Robin Bloom offers suggestions for what to do this week! 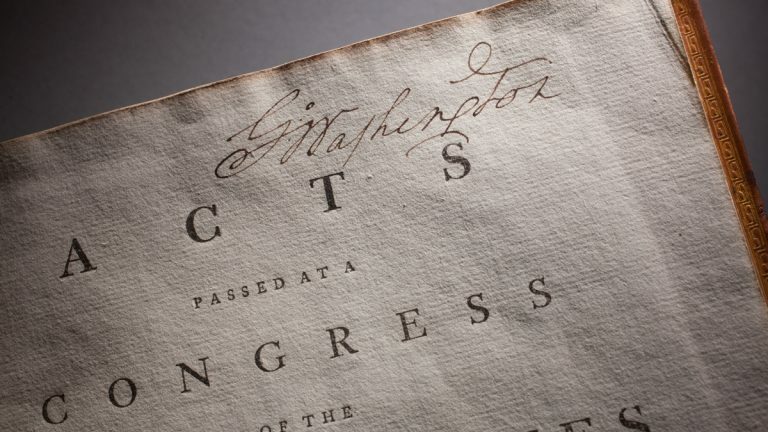 Timed to coincide with the 2016 election year and the Democratic National Convention, a new exhibit at the National Constitution Center explores how various presidents have wielded and tested presidential powers from 1789 to today. Powers of the President features original documents from the National Archives and Presidential Libraries, highlighting key presidential powers found in the Constitution and explains how they have been exercised over time, and the impact they have had while holding the nation’s highest office. 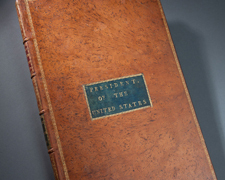 Focusing on Article II of the Constitution, the exhibit examines how presidents have tested the boundaries of their authority in the areas of vetoing legislation, issuing pardons, the ability to appoint and remove federal offices, and the powers that come with being chief executive, chief diplomat, and commander in chief. Items on display include George Washington’s Pardon of the Leaders of the Whiskey Rebellion, 1797, James K. Polk’s Proclamation Declaring a State of War between the U.S. and Mexico, 1846, and Andrew Johnson’s Impeachment Trial Ticket, 1868, through January 20, 525 Arch Street, Independence Mall, Philadelphia. Pictured: George Washington’s Acts of Congress, on loan from Mount Vernon. Photo courtesy of the National Constitution Center. Onstage at Bucks County Playhouse is The Divine Sister, the madcap hit comedy by Charles Busch that reunites the original New York cast and creative team. In a mash up of nearly every Hollywood “nun film” ever made, Mother Superior is determined to build a new school in her Pittsburgh convent, but first must deal with a host of colorful, silly characters that stand in her way. The production is directed by Carl Andress and features members of the original company including the playwright, Alison Fraser, Julie Halston, Jennifer Van Dyck, and Jonathan Walker, in a limited run through August 13, 70 South Main Street, New Hope, PA. Photo by David Rodgers. 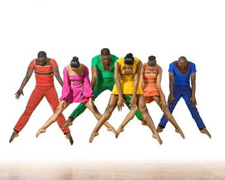 PHILADANCO’s 5th annual Founders Day Concert features all three companies with a program including “Between the Lines,” a work by PHILADANCO alumnus Francisco Gella that premiered earlier this spring, “Latched,” by Christopher Huggins, a long-time choreographer with Alvin Ailey, and an excerpt from “Folded Prism,” by Vietnamese choreographer Thang Dao, plus guest artists from Kulu Mele African Dance Ensemble, Friday, July 29, 7pm, at the Dell Music Center, 2400 Strawberry Mansion Drive, Philadelphia’s East Fairmount Park. Photo courtesy of PHILADANCO. 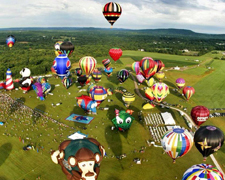 It’s “love at first flight” at the 34th annual QuickChek New Jersey Festival of Ballooning, the largest summertime hot air balloon and music festival in the country, July 29-31, with morning and evening ascensions (6:30am & 6:30pm) of 100 balloons from around the world. Catch a taste of ballooning with a tethered ride in a balloon that stays close to the ground and overlooks the entire festival grounds. Or, go all the way up with a pilot! New this year, the pelican and piranha, paying tribute to the Jersey shore. Third Eye Blind, KC and the Sunshine Band, John Kay and Steppenwolf perform, plus a 5K race, fireworks, a nighttime balloon glow, arts and craft vendors, food, children’s activities and more, at Solberg Airport, Readington, NJ, north of Princeton. On-site parking available. Photo by Michael Downey Photography. Want more balloons? Check out the Hot Air Balloon Festival New Jersey at the Warren County Farmers’ Fair, Saturday, July 30 through Saturday, August 6, in Phillipsburg, NJ. 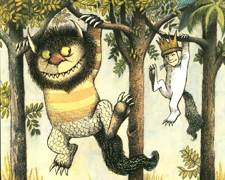 Dover, Delaware celebrates the life and art of the iconic author and illustrator Maurice Sendak with a retrospective exhibition at the Biggs Museum of Art and the Dover Public Library. Opening July 29, Maurice Sendak: the Memorial Exhibition, includes a wide variety of Sendak’s art, from an illustrated book report on Macbeth, to opera set designs, and illustrations from his children’s books. The original works are accompanied by quotes from presidents, illustrators, friends and celebrities discussing Sendak’s influence on their own lives. The exhibit first launched in 2013 to celebrate the 50th anniversary of the beloved children’s book “Where the Wild Things Are.” Accompanied by a variety of programming and events including a grand opening celebration, musical, ballet performance, lectures, film screening, and more at various downtown Dover locations. Admission to the Dover Public Library is free and the Biggs Museum offers free admission for up to two adults who accompany a child, July 29 through September 11, 406 Federal Street, Dover, DE. Photo courtesy of Biggs Museum of Art. According to the New York Times, picture books account for nearly 40 percent of the 100 top-selling children’s books. The Brandywine River Museum of Art has a history of focusing on American illustration and presents Get the Picture! Contemporary Children’s Book Art, showcasing the broad range of subjects, styles, and working methods of children’s book illustrations with a selection of work created by eight renowned, award-winning artists in the field: Sophie Blackall, Bryan Collier, Raúl Colón, Marla Frazee, Jon Klassen, Melissa Sweet, David Wiesner and Mo Willems. Approximately 20 works by each artist – drawn from their most recent titles – offer a broad array of imaginative approaches and styles, bringing to life stories and characters that are now beloved by a large and loyal following. Curated by H. Nichols B. Clark, founding director and chief curator emeritus of the Eric Carle Museum of Picture Book Art, through October 9. Accompanied by special programming, Route 1, Chadds Ford, PA. Pictured: Illustration for Mr. Wuffles! 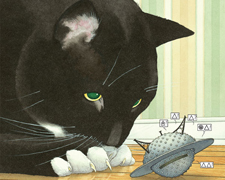 By David Wiesner (Clarion Books, 2013). 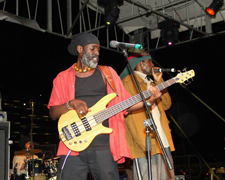 The 22nd annual People’s Festival and tribute to Bob Marley takes place in his first American hometown, Wilmington, Delaware, Saturday, July 30 with live music, international food, worldwide arts and crafts, and performances by Ky-Mani Marley, Alika, Richard Raw, and more, Tubman-Garret Riverfront Park, Water Street. Photo courtesy of Peoples Festival. 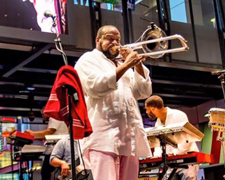 Jazz on the Avenue features free live entertainment with Jeff Bradshaw (pictured) and Friends with Tony Rich, Kim Burrell, Ronnie Laws and Tia Fuller, Jaguar Wright, Sherry Butler and Worldtown Sound System, Saturday, July 30, 12pm-8:30pm (rain date July 31), Broad and Cecil B. Moore Avenue (Broad to 17th Streets), hosted by Patty Jackson and Dyana Williams with vendors, food, children’s activities, and more, plus the Philly Soul Stock stage showcases up and coming young artists from the Philadelphia area. Bring lawn chairs! Photo by Hassan Kareem. The Brandywine Valley’s largest fine craft fair, the Pennsylvania Guild of Craftsmen Fine Craft Fair, returns this weekend for the 10th year to the Chase Center on the Riverfront in Wilmington, DE. 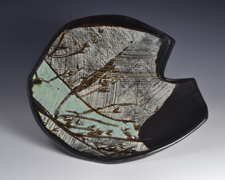 More than 100 independent, local, and regional craft artists showcase their work, which includes furniture, clothing, jewelry, pottery, woodturning, sculpture, photography, and fine art, Saturday, July 30, 10am-6pm and Sunday, July 31, 10am-5pm. Photo courtesy of Pennsylvania Guild of Craftsmen. 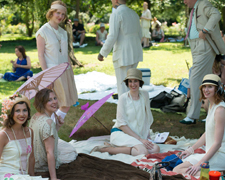 The historic 19th century riverfront estate Glen Foerd on the Delaware brings together the best of 1920s fashion, food, drink, music, dancing and more with Jazz Age on the Delaware, Saturday, July 30, 11am-5pm. The “roaring Twenties” party offers vintage-inspired food and drinks, vintage shopping, mansion tours, lawn games, antique automobiles, a pie-baking contest, dance lessons, and live entertainment by the Carte Blanche, Dandy Wellington, Drew Nugent and the Midnight Society, the Gin Canaries, the Minsky Sisters, and the Old City Sweethearts. Bring a picnic lunch and blanket. 1920s attire encouraged. The fun takes place rain or shine at 5001 Grant Avenue, Philadelphia. Rain date: July 31. Photo courtesy Glen Foerd. Put on your dancing shoes and join in the fun with the 7th annual Philadelphia Dance Day, Saturday, July 30, beginning at 9am and featuring free workshops, live performances by some of Philadelphia’s best dance instructors at venues across the city, culminating in an evening dance party at the Ethical Society Building on Rittenhouse Square ($5). The event is designed for dance enthusiasts of all ages, dance specialty and skill level, with an array of workshop options from belly dance to tap, Tango and striptease! A detailed schedule of events and venues is available online. 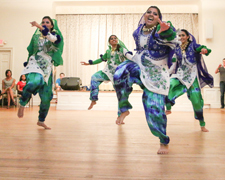 Pictured: Allarh Mast Jawani, the all-female Bhangra dance team from Drexel University, performs at the evening showcase during a previous Philadelphia Dance Day. Photo by Sergio Rojstaczer. Scribe Video Center kicks off its annual, month-long Street Movies!, urban drive-ins without cars. Now in its 19th year, the series is a citywide tradition that brings neighbors together for outdoor screenings of short films plus discussions and live performances and begins on Monday, August 1 at Tindley Temple United Methodist Church. 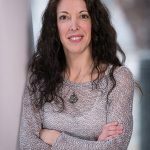 All twelve events are family-friendly and free and open to the public and are part film festival, part town hall meeting, and part concert, moderated by emcees. Look for performances by renowned novelist Lorene Cary, poet and recording artist Ursula Rucker, Cambodian classical dancer Lanica Angpak (pictured), Magdaliz and Her Latin Ensemble CRISOL, native Mexican dance and music troupe Ollin Yoliztli Calmecac, guitar and violin duo Mike and Callie, and jazz bassist Nimrod Speaks and saxophonist Larry Price. Screenings start at sundown (8:30pm) and films continue through August 26 in Camden, West Kensington, North Philly, West Philly, South Philly, and Chester, PA. Photo courtesy of Scribe Video Center. For more outdoor movie screenings, check out Schuylkill Banks Movie Series with screenings on Thursday, July 28 and August 11 by the Walnut Street Bridge. Movies start at dusk between 7:45pm and 8:30pm. In Chestnut Hill, the first annual Friday Night Outdoor Movies Series kicks off at the Water Tower Recreation Center, Friday, August 5 with food trucks and film screening at 8pm, 200 East Hartwell Lane, Philadelphia.